BPM Vision employs a diverse group of highly skilled professionals from all around the globe to help our clients deliver tangible, lasting results. Our people are experienced problem solvers who understand the importance of change management, and will collaborate with your team every step of the way. We are committed to add value to our clients by efficiently deploying solutions that address your most critical pain points. Our leadership team is comprised of industry experts that have helped various clients improve their overall business success, and continue to innovate and improve the way we do business. 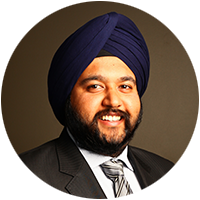 Puneet Singh Sodhi is an experienced leader with nearly 15 years’ experience in leading clients to derive value from their IT and project investment. 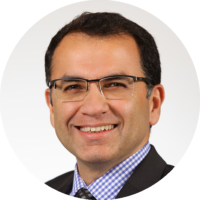 He is the co-founder of one of Australia’s largest providers of professional services for project and portfolio management solutions across various verticals such as financial services, retail, government, and consulting. Gaurav is passionate about helping organisations stem wastage and enhance value by reinvesting savings in transformational initiatives. He has over 20 years experience leading functions across industries as a major sponsor and consumer of IT. He appreciates how enabling senior execs get visibility of their portfolio of investments, can help optimize resources and ensure delivery of benefits to the larger organisation. He is partnering with execs to drive efficiencies and achieve focussed delivery to strategic objectives in the midst of the significant changes in industry. Mark Leake is responsible for organisational capability, which includes the enablement of employees’ consulting and product skills in Australia and the Asia Pacific region. 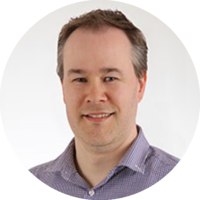 He has over 17 years of experience in working with clients to deliver successful solutions in his capacity as a solution architect and project lead. 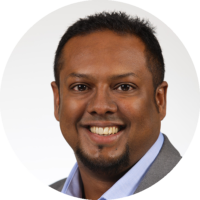 Kribin Moodley is the head of Account Management for BPM Vision. He has a proven track record with over 15 years in the IT industry and the past 12 years focusing on delivering value through implementation of project portfolio management solutions in complex PMOs across industries. Kribin has an excellent ability to prompt and extend the thinking of clients into areas that can leverage PPM’s capability.